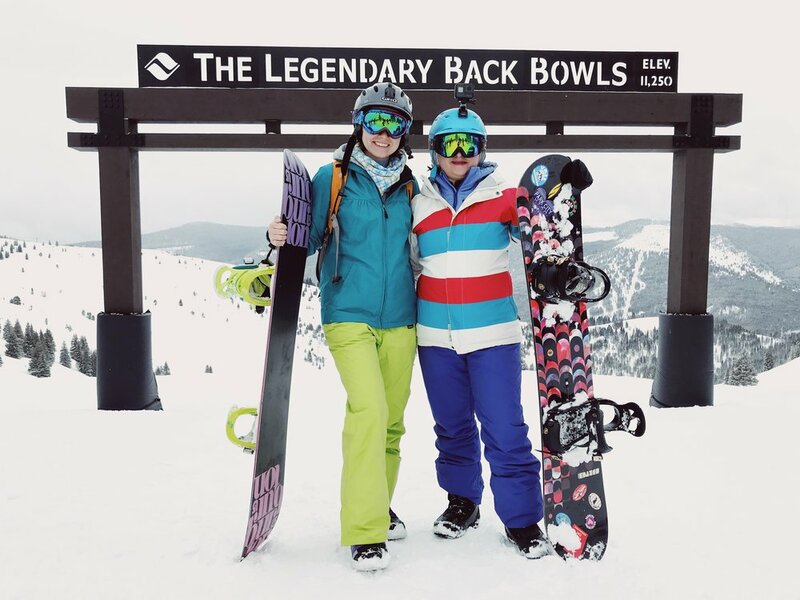 A few weeks ago my sister and I decided to go to our favorite place to snowboard- Vail, Colorado. Since our schedules are pretty busy and we are flying from two opposite coasts of the United States, we decided to go just for a long weekend. We have been snowboarding together for the past ten years and traveled to some amazing mountains in the United States. For me nothing is better than fresh powder; however, it’s very hard to predict when the fresh pow will be and for how long. So, unless you are chasing a storm, you have to hope for the best. Last year we went to Park City in Utah, and we had some decent powder there. Here is my post about that trip. However, this year we really got lucky! We got the best snow I’ve seen in many years. I think the closest it came, was our first trip to Vail, several years ago. We stayed there for a week, and it snowed a few feet! This is when we fell in love with Vail Bowls. As a snowboarder, I do not like groomed terrain, and I do not like moguls. I love fresh and untouched pow! Unless you go into the woods or off a trail, it’s hard to come by some fresh pow. But when it’s snowing so much that you can barely see where you go, fresh fluffy pow is all around you.